What is a covered wagon? It conjures up images of white canvas four-wheeled wagons trundling over the prairie behind teams of horses, mules or oxen (depending on what the wagon owner could stump up by way of investment in 'motive power'). No, what I'm talking about here are, or rather, were four-wheelers, but that's as far as the prairie wagon resemblance goes. 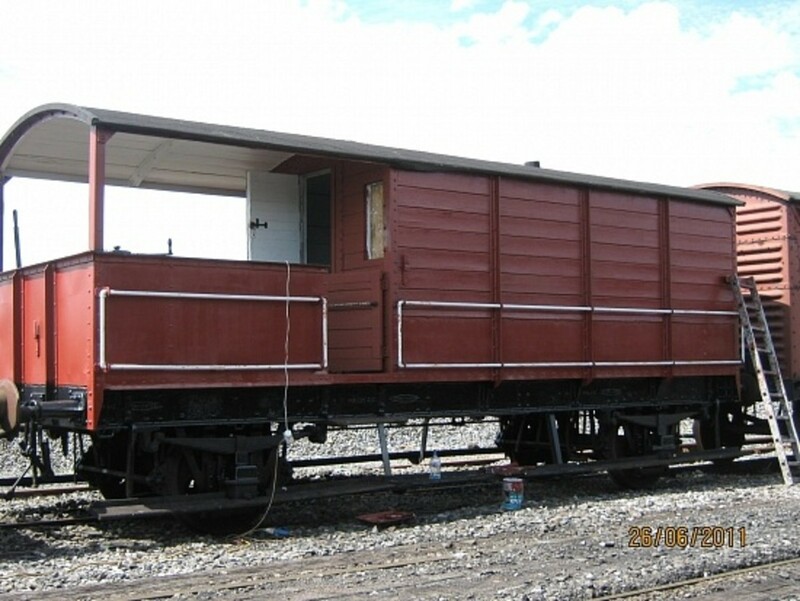 When I say "covered wagons" I'm referring to railway goods wagons with roofs. 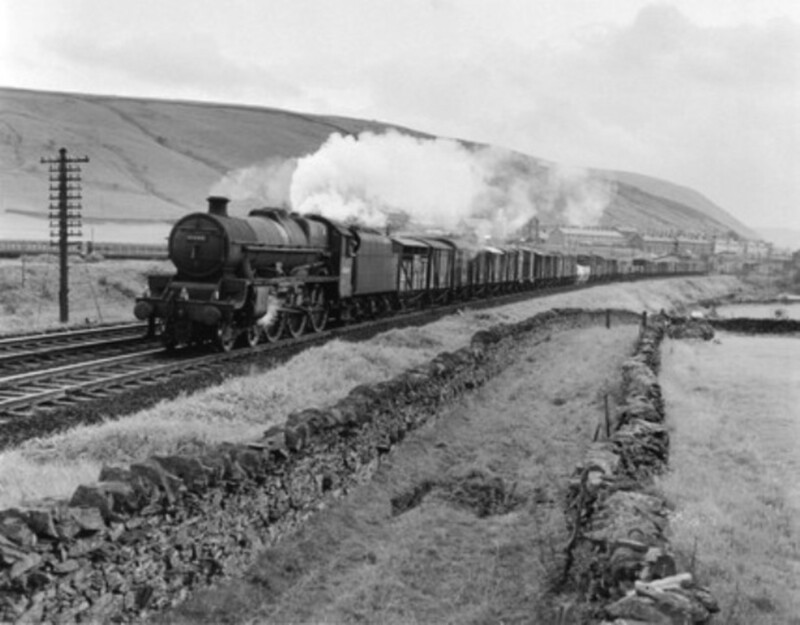 Some, like the Great Western (GW) or Midland (MR)-type salt wagons, had ribbed hoods added that resembled gabled house roofs. Most were furnished with elliptical roofs (a shallow upside-down 'U' shape). 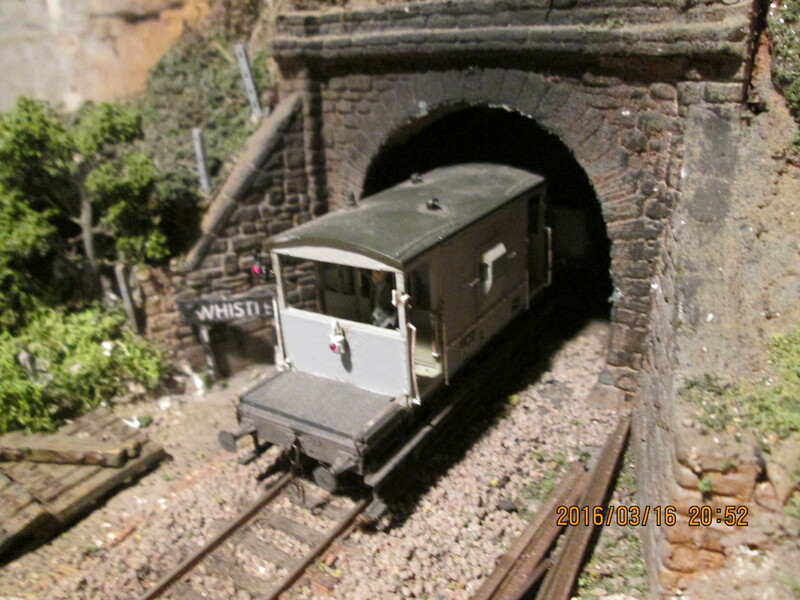 Others, like the London Brighton & South Coast/Southern Railway (LB&SCR/SR) vehicles, were built with roofs that curved more sharply around the rain-strips to contend with restricted clearances in tunnels. In the early days, trussing and framing was in timber. 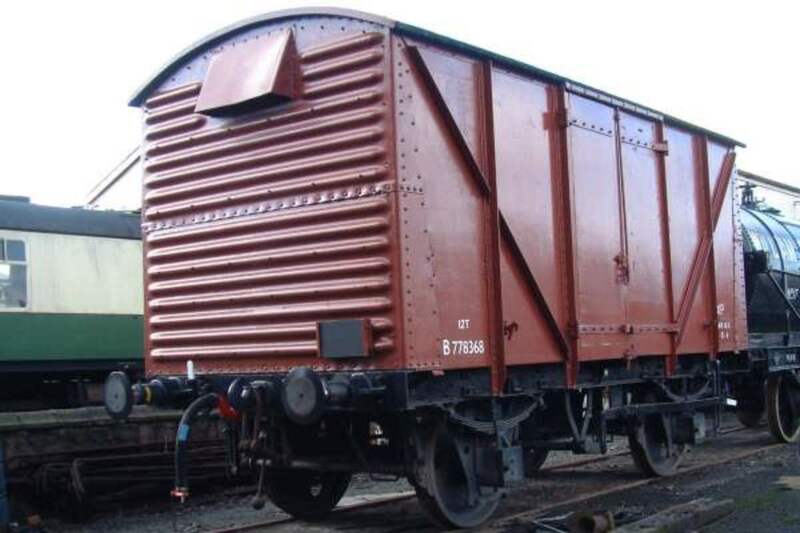 Just look at photographs of early Midland Railway wagons that looked almost like half-timbered medieval buildings on wheels! Later frames were angle-iron or plain strip with holes (like Meccano) for the rivets. 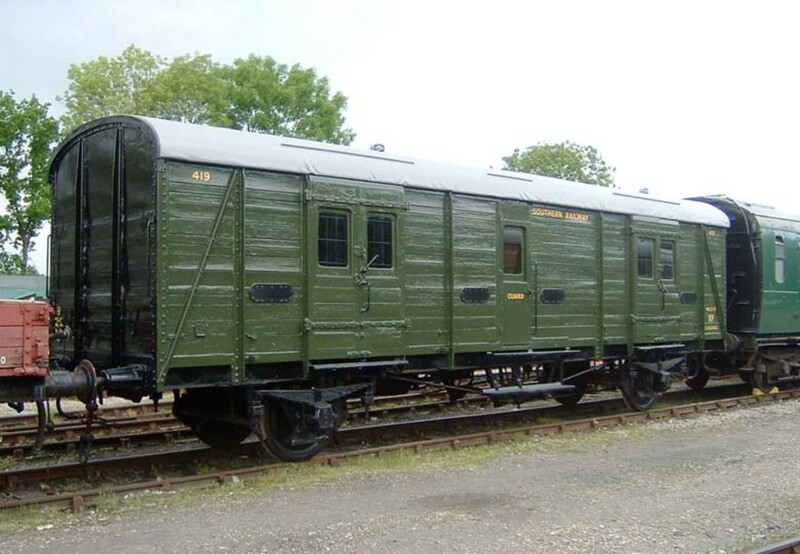 Longer roofed vehicles were vans in their own right, including many six-wheeled or bogie vehicles, but I'm just talking here about shorter four-wheeled vehicles and open goods wagons of 9 or 10 foot wheelbase, 12-14 foot overall length. I won't be discussing open bogie, fuel tank, or longer four-wheeled vehicles in this article. As I mentioned in the last paragraph, to begin with all vans/wagons were built of planked wood with diagonal and vertical framing. Open wagons were generally built with horizontal planking, and covered wagons, or vans, were built with vertical planking. 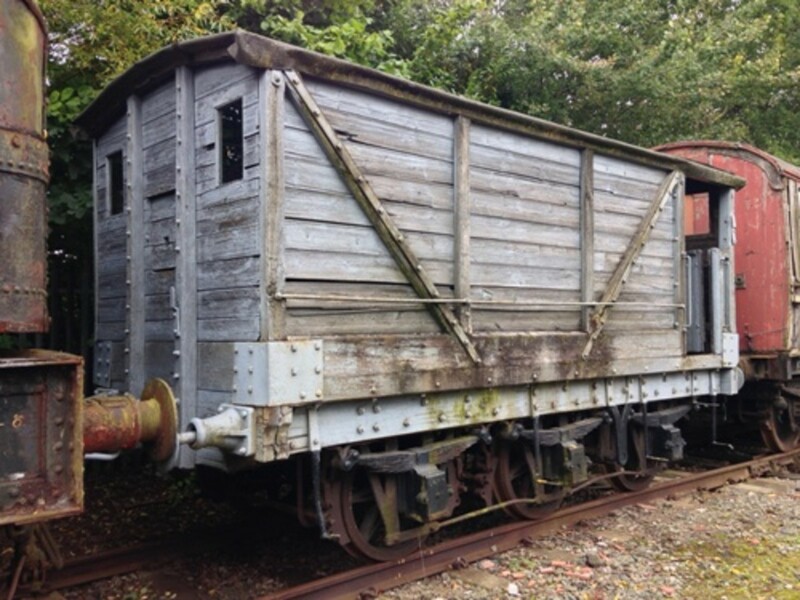 Later vans were built with plywood sides when a timber shortage hit the railway wagon builders. 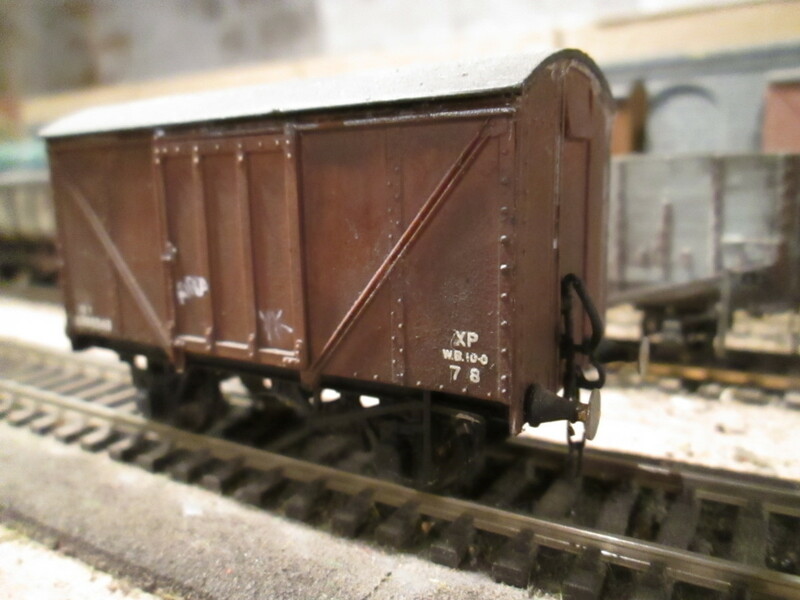 Open wagons began to be built out of steel in the 1930s, with the LMS leading the way. All underframes were originally wooden, and gradually replaced with steel ones in the 20th Century. 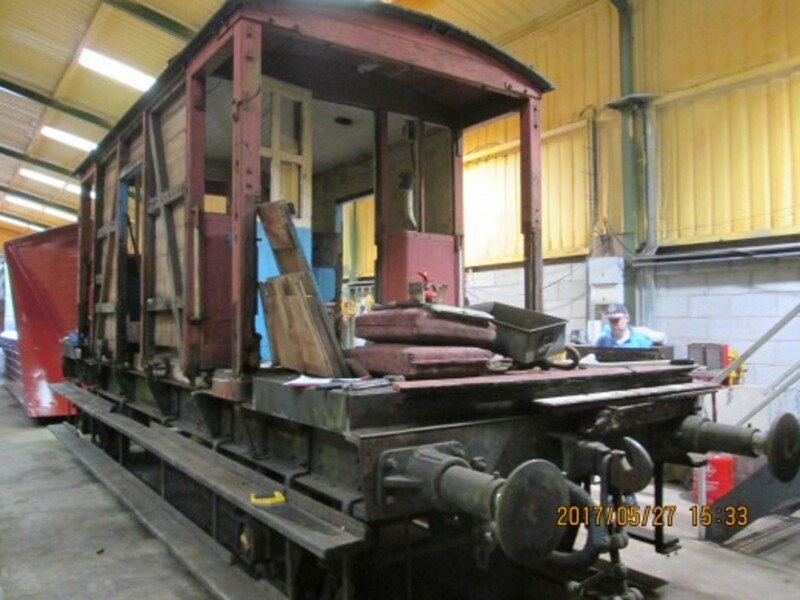 By Nationalization almost all vehicles were steel-underframed, with some wooden survivors making it through to museum status. In the late 1940s experiments were made with plywood, as I've mentioned. These discoloured with use and often rotted. 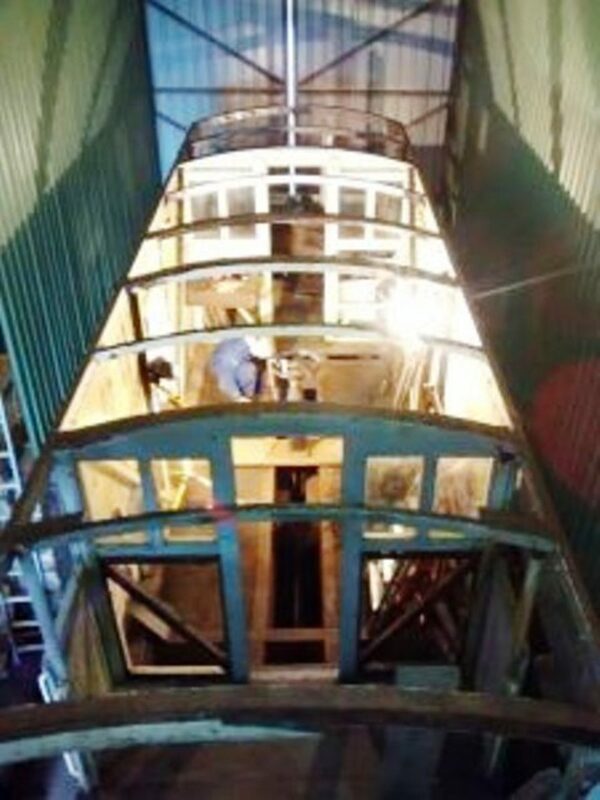 They had to be re-done from time to time or salvaged by timber planking. This gives scope for interesting modelling, such as 'distressing' and painting to resemble the beginnings of rot setting in. You'll see what I mean when you study the pictures. 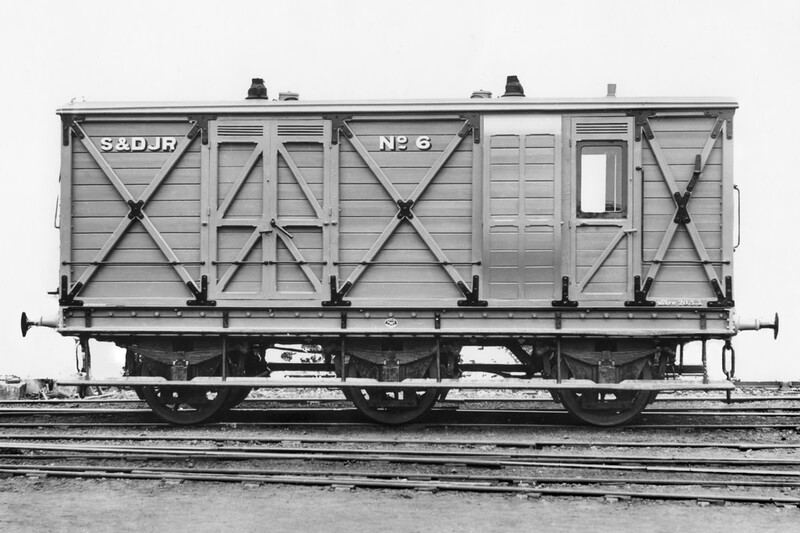 General goods vehicles were built to fulfill the railways' obligations to carry goods from A to B, paid for by manufacturers, farmers, and the general public. 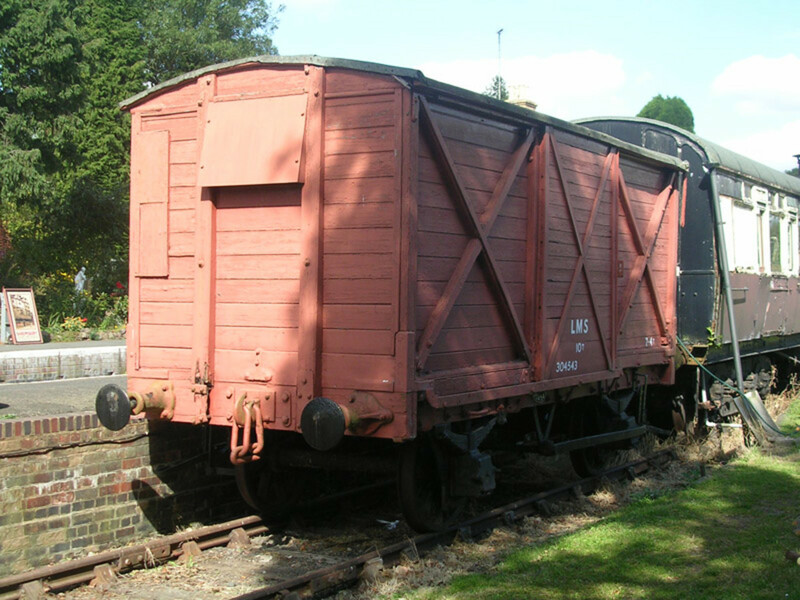 There were variants, such as fruit vans and wagons and general goods vans and wagons. 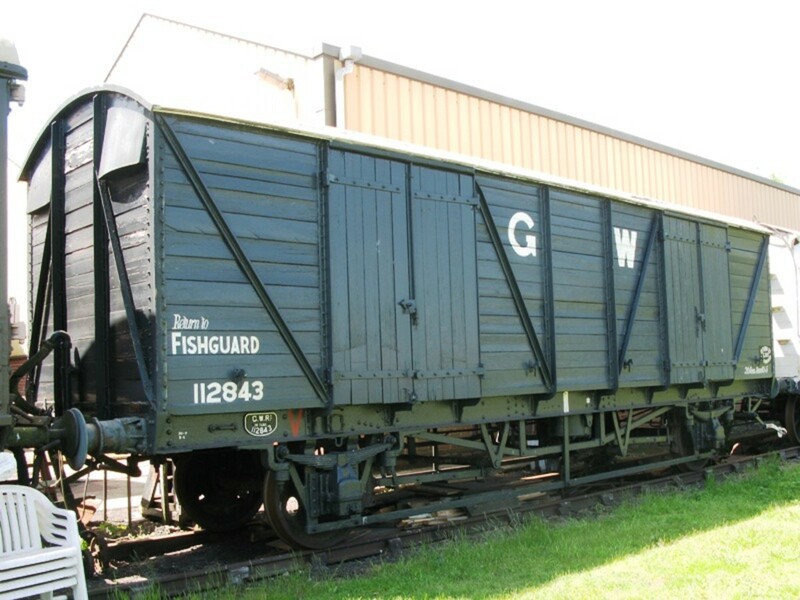 There were also fish vans; open wagons in earlier days until the fare-paying public objected to having to smell the fish whenever they stuck their noses out of the carriage window. Meat vans followed with other farm produce traffic that had been partially processed for wholesale. 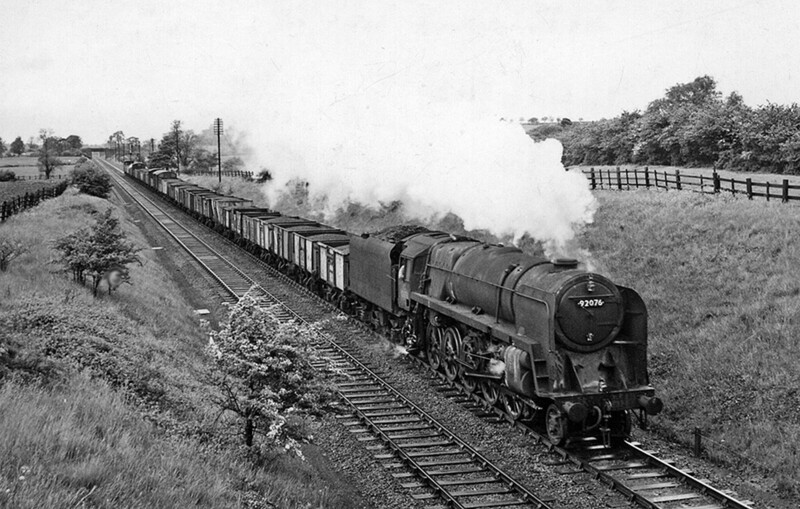 Bananas were also transported in designated vehicles with steam-heating pipes for connecting to the engine and protecting the goods against our very un-tropical climate between the port installation and the wholesale market, then again on their journey to retail outlets from Fyffes or Geest warehouses. 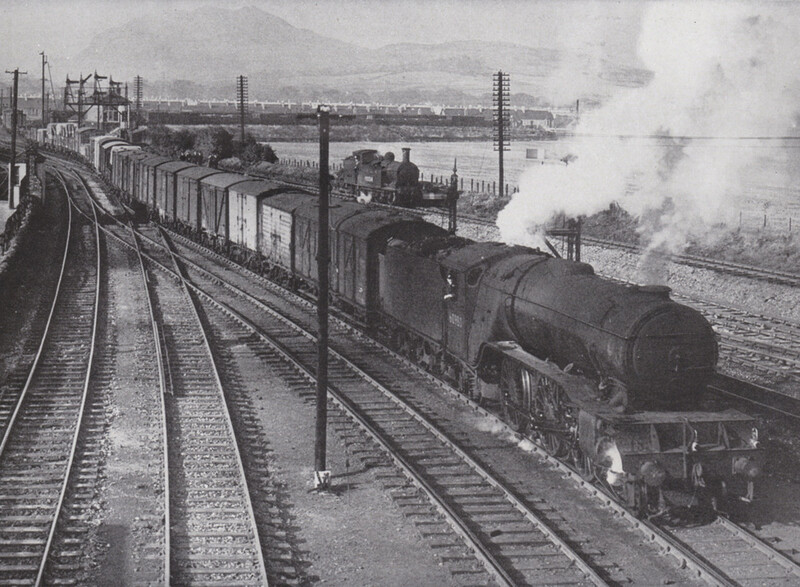 Trains of divers freight/goods would be marshalled in one part of the country, ferried in express goods trains to another large yard, and then attached to cross-country goods workings and finally branch pick-up trains that dropped off laden wagons to smaller towns (to be delivered to shops, warehouses, dealerships, or with private individuals). 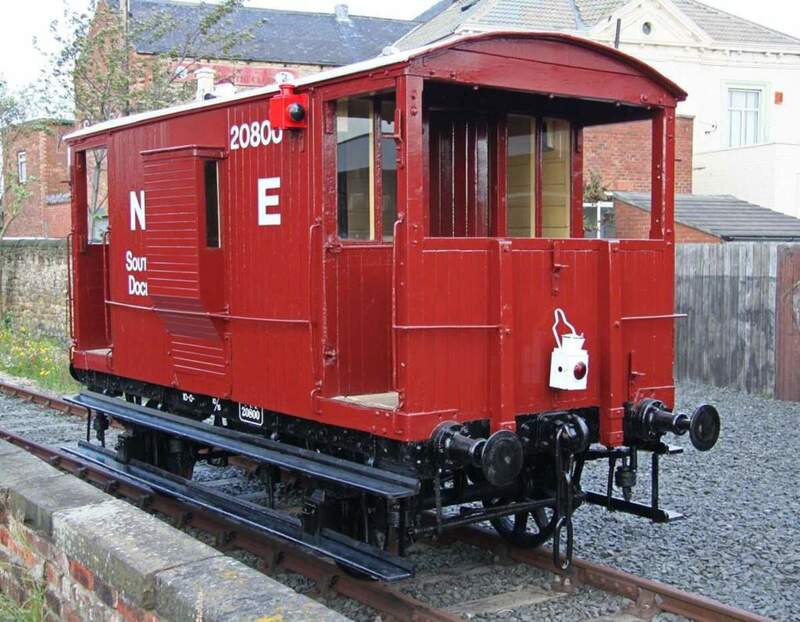 This was the 'common carrier' obligation of the railway companies that began with the first public carrier, the Stockton & Darlington Railway (S&DR), and ended with British Rail, the mid-1960s successor to British Railways, when block trains were introduced on the system. 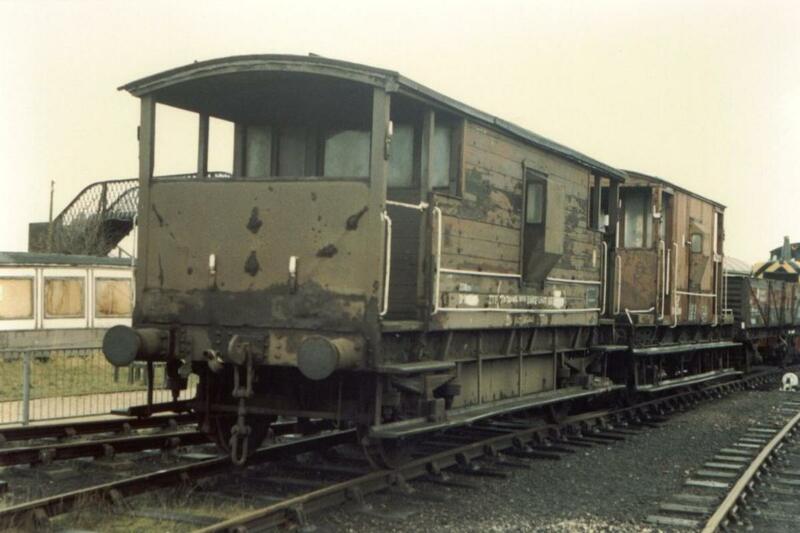 The 'common carrier' system was extremely wasteful in terms of time and energy spent loading and unloading, shunting, and waiting empty for the next pickup to take the empty vehicle to the nearest major marshalling yard (if it was 'common user' designated). If not, it would run empty all the way back to its originator for reuse. When general goods trains ceased to run, I imagine some workers in the efficiency department breathed a sigh of relief. But it signalled the end of a very long and important era in rail transit. Now every train is telegraphed 'en bloc', and if the load doesn't cover, as on a container or car flat train, then some vehicles run empty! Industries that ship materials like aggregates, coal, bricks, or fluids generally don't leave vehicles empty, which is a sort of blessing, although 'balancing loads' are often sent by road if the trainload is insufficient for needs. 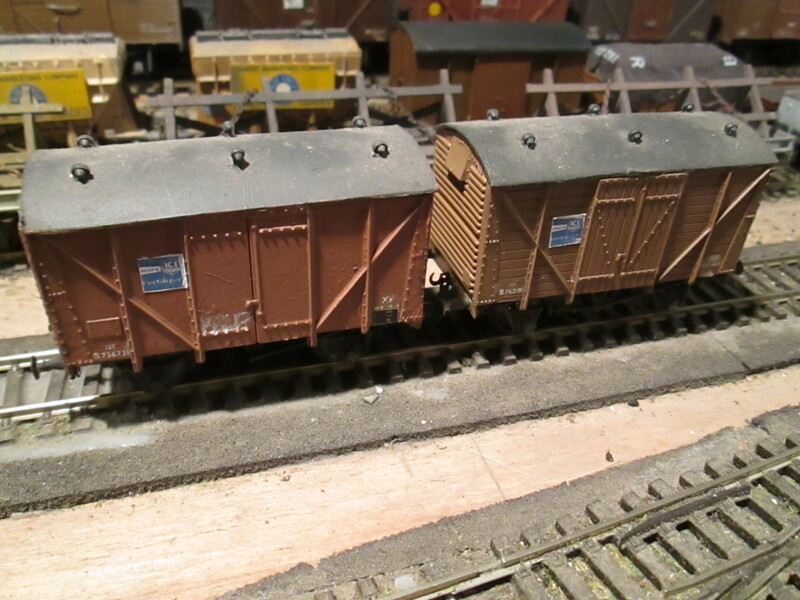 Each company, beginning with the S&DR owned fleets of goods wagons. 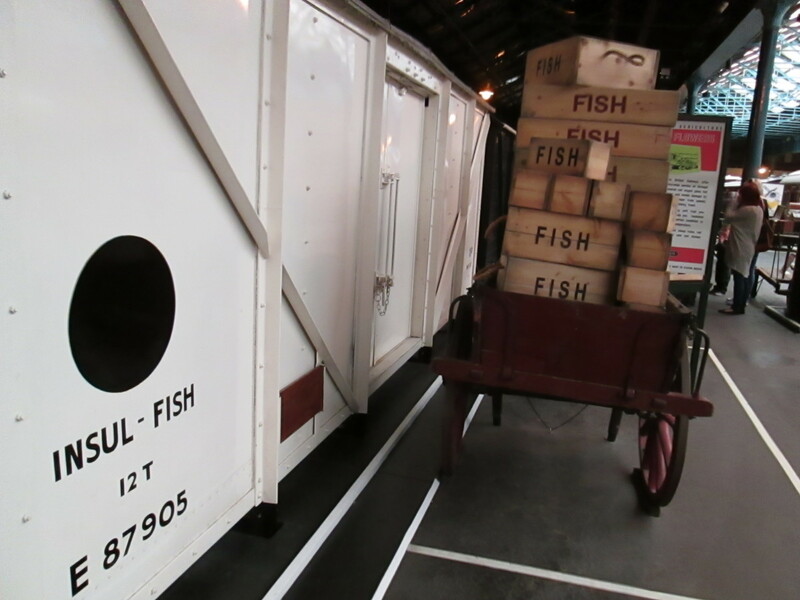 Originally these would all have been open wagons, but experience taught us that not all goods could be carried in open wagons (like the fish I mentioned before). Tarpaulins were used if a load only needed sheltering from wet conditions. Roofs were added for specialist loads like fish and meat. Later, refrigeration was introduced for these goods, and covered wagons carried fruits and some vegetables. By and large vegetables that did not spoil with water exposure only needed to be boxed and ready for moving around by a specialist wholesaler. Some produce, like potatoes and mushrooms, had to be kept dry and were shipped boxed (in the case of mushrooms) and in large hessian bags in vans or tarpaulined open wagons. . So what does this mean to the modeller? It means detail. 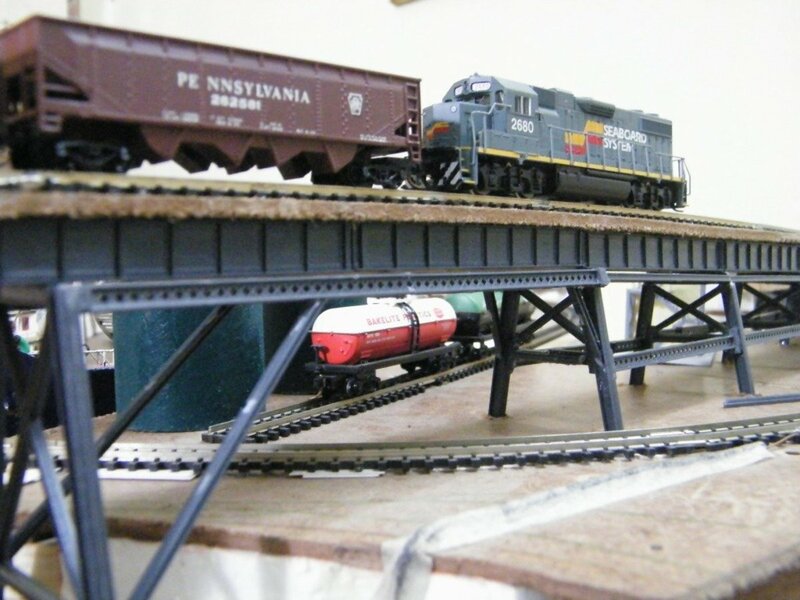 While some details are not very noticeable in 'N' gauge, once you get into Trix Twin 3mm, 4mm ('OO'), 'S' scales, and upward, detail is a boon for the modeller. 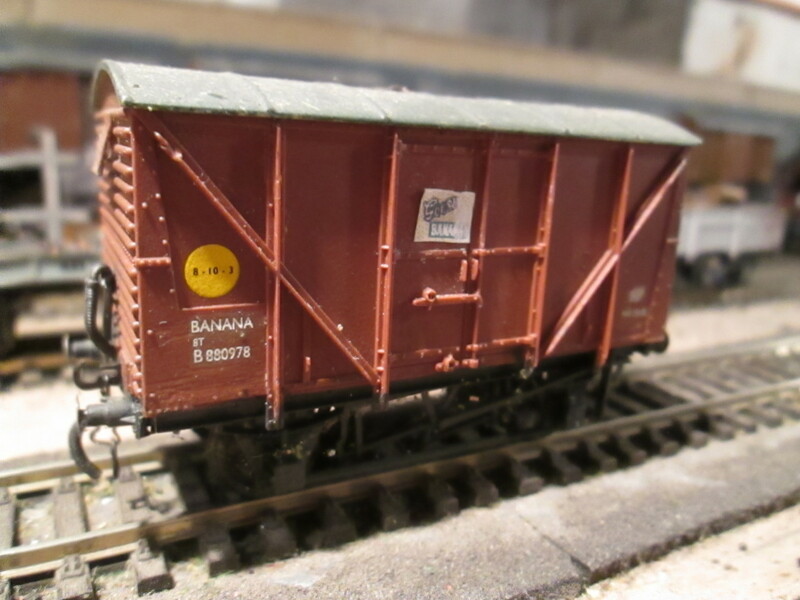 It means you can put labels on vans/wagons for foods and general goods carried, add large destination labels to cover a whole van/wagon consignment, and in the painting/weathering stage, you can show wear and tear from handling, staining, chalk marks, and crossed-out markings. 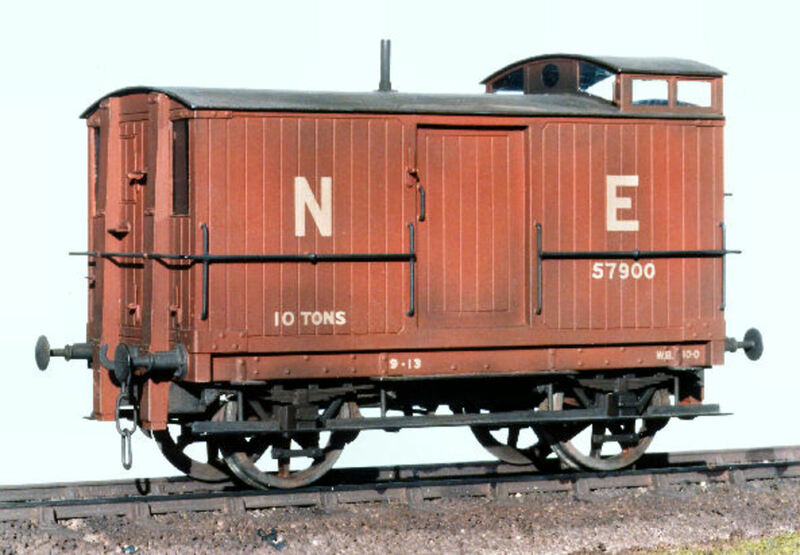 In some cases, a wagon might even be taken off the train and left in a siding because of a hot box (dried-out axle boxes were a constant source of frustration) with chalk marks to warn others against use. Now and then an irreparable wagon might be taken out, shunted, re-shunted into the siding, and the train made-up again to carry on its way. The chalk mark used on these would be an 'O' with a cross through it, to show it as 'condemned'. 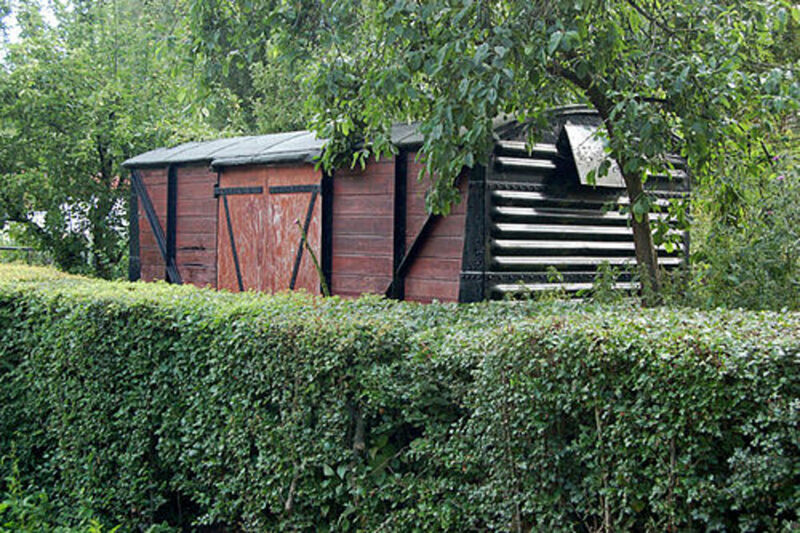 You may have a 'botch job' of a wagon you don't wish to scrap, so you designate it a 'cripple' and condemn it, to leave it in an overgrown siding at one end of your layout. These are ideas you can adapt for your own purposes. Look at photographs in books, magazines, and online. Some of the books in my reading list below show abandoned wagons as well as cripples and assorted 'scenic detritus'. Keep an eye open while on your own travels. You might spot something new that you haven't seen before, or you might see something that will give you ideas in terms of wear and tear. 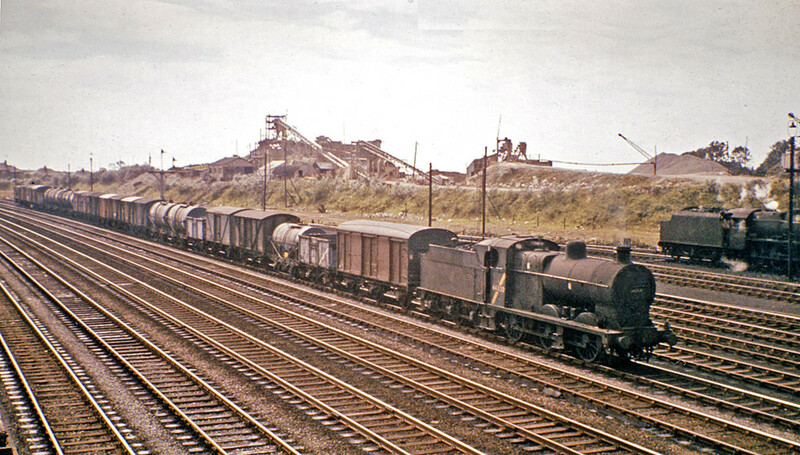 Relive the age of steam through the pages of British Railways in Colour: The North Eastern Region. It's the atmosphere; smell the coal smoke and hot creosote, listen to the wagons creak and squeal on the curves up to the pits; watch the 'Streaks' thunder along the 'racetrack' between York and Northallerton with twelve, thirteen, or fourteen coach trains behind on King's Cross-Edinburgh expresses; or stand on the platform at Thirsk or Northallerton and watch as the stopping trains trundle into the station for York or Darlington with their train engines hissing as the brakes are applied, maybe a Class D20 or D49 4-4-2 tender engine, or a more modern Thompson class B1 4-6-0. 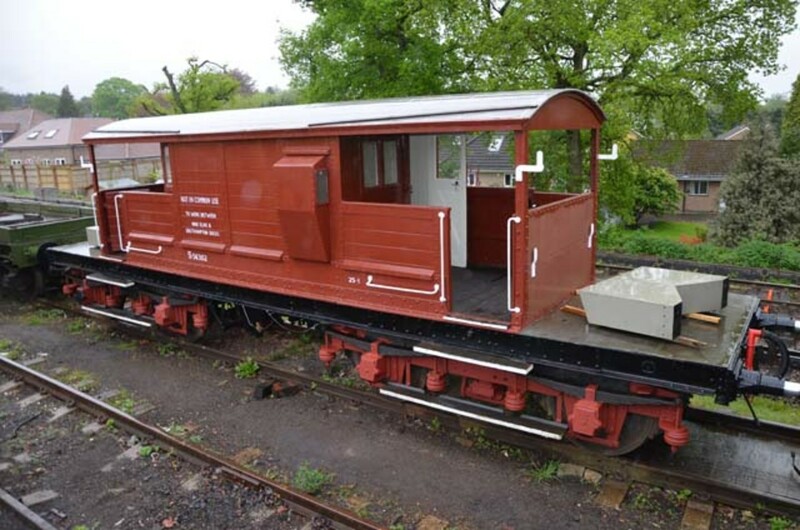 In British Railway Goods Wagons In Colour, Robert Hendry has brought together a broad collection of British Railways' vans and wagons in various formations as well as individually. 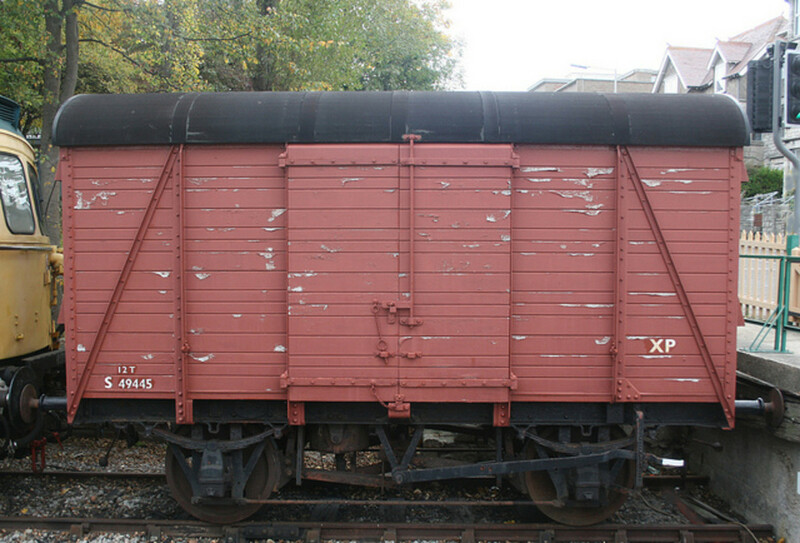 Wear and tear is plain to see, obviously moreso on older wagons that have seen several livery changes including pre-Grouping, Grouping, post-Nationalisation, pre- and post TOPS (TOPS was a later 1960s form of pre-computerised wagon control in numbering and designations). This is my recommended reading list which contains titles from my personal collection. Many of these titles are rare and hard to find, but check with your local library, try railway museums, and don't forget to search eBay in case any of them pop up for a good deal. 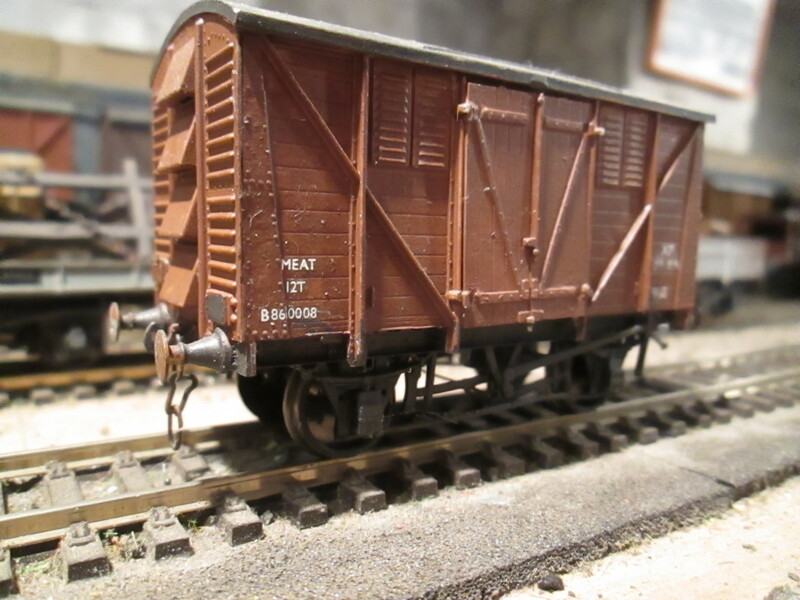 LNER Wagons by Peter Tatlow, publ. Pendragon Partnership and Peter Tatlow 1998, ISBN 1-899816-05-4 :- A lexicon of wagons by a railway-writing authority, exclusively photographs, diagrams, drawings, detail and numbering sequences covering the range from four-wheeled to six wheeled and specialist bogie freight wagons. Railways In Profile No. 13 L.N.E.R. Wagons Before 1948 - Volume 1 Opens, Vans & Special Stock compiled by David and Claire Williamson (of NERA publishing fame), edited by Peter Midwinter, publ. Cheona Publications 2003, ISBN 1-900298-16-3:- A knowledgeable introduction leads the reader into a detailed survey of pre-LNER and LNER wagons up to Nationalisation. Mainly b&w images, there are a number of colour photographs on the cover and inside, showing vehicle close-ups as well as general aspects and serious weathering on older vehicles (including some condemned). British Railway Goods Wagons In Colour: For the Modeller and Historian by Robert Hendry, publ. Midland Publishing Ltd. 1999, ISBN1-85780-094-X :- As the title says, colour photographs... Lot's of them. However the accent is not on British Railways vehicles but British railways vehicles, including pre-Nationalisation and pre-Grouping items. Exhaustive cover of wagons in different states of repair and disrepair with notes on numbering and building ranges where many were built to a diagram - including BR wagons built to GW, LMS, LNER and SR diagrams. 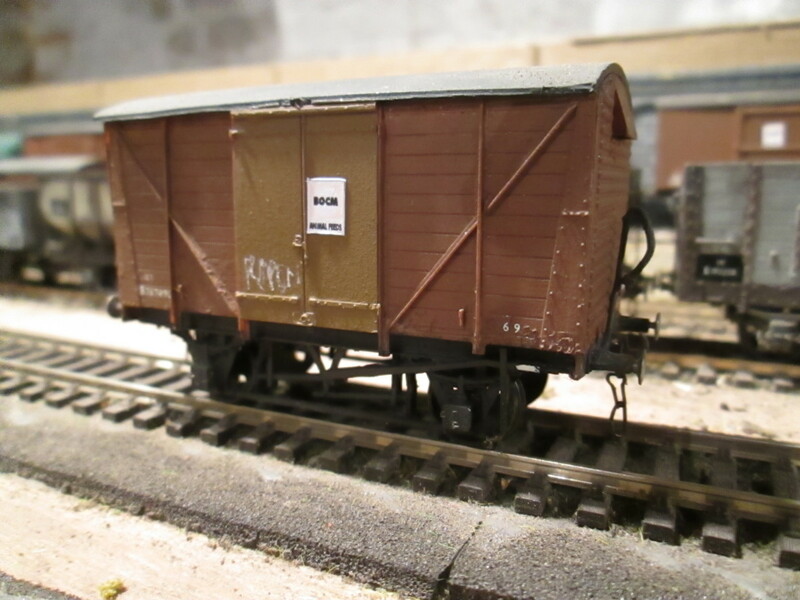 Brake vans from the various companies are included, as well as BR brakevans - both fitted and unfitted. 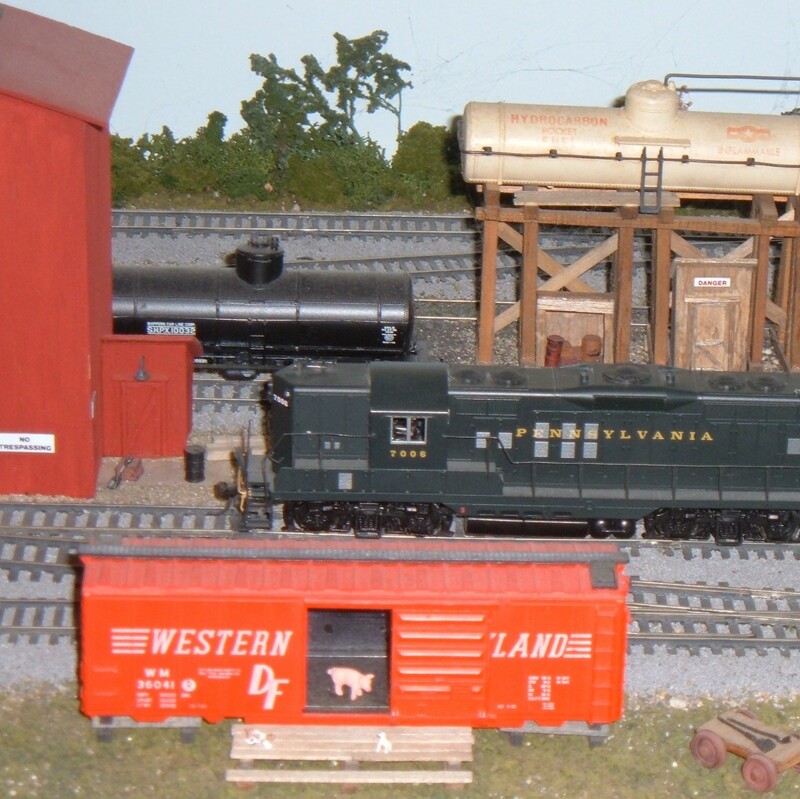 There are some privately-built vehicles, such as rectanks (rectangular tar or spirit tankers) preserved by enthusiasts. 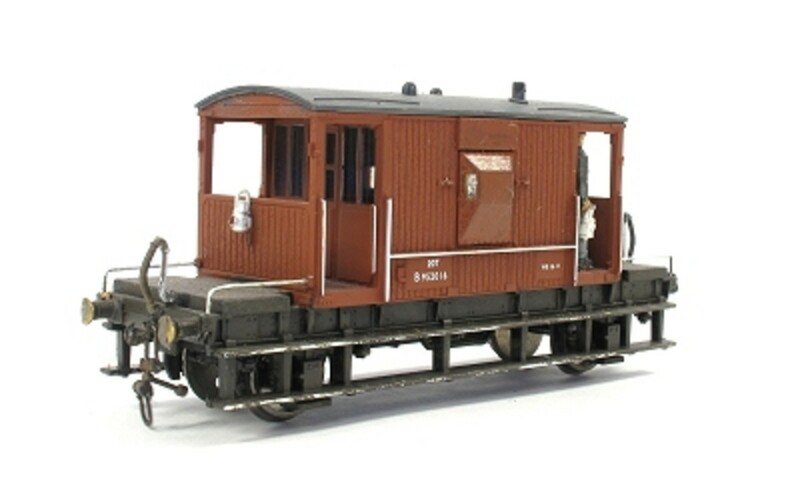 Railways in Profile Series - British Railway Wagons No5 Cattle & Brake Vans compiled by G Gamble, publ. Cheona Publications 1997 ISBN 1-900298-05-8:- A specialist book this, showing pre-Grouping, pre-Nationalisation and BR Cattle and Brake Vans in mainly b&w again, with a number of colour images on covers and within. 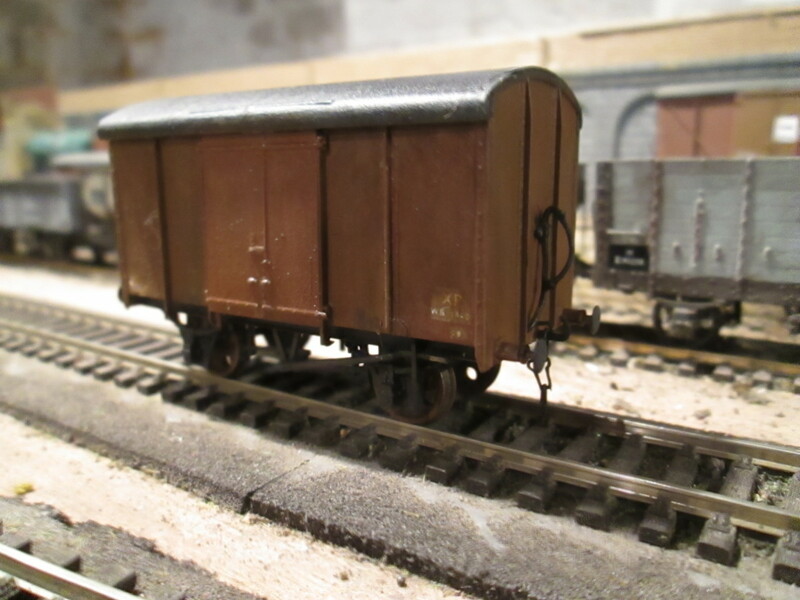 Each Grouping company is taken separately, GW, SR, LMS and LNER, and then BR standards beginning with Brake Vans, pre-Grouping types included. Thorough-going, as the others above, numbering and building series covered. 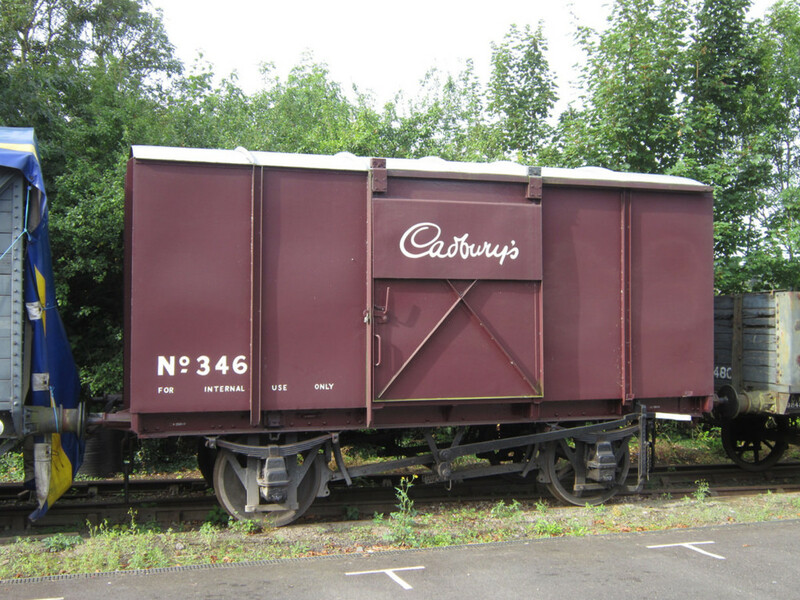 Cattle Wagons were by and large dispensed with by the late-1950s when road haulage snatched the traffic away from BR with the connivance of the anti-railway lobby and Ernest Marples. (Fixed tariffs for the railways, variable tariffs for the hauliers. Also, the hauliers could take their lorries onto farm premises, whereas in the case of railway cattle wagons farmers/drovers had to take the animals to the station). 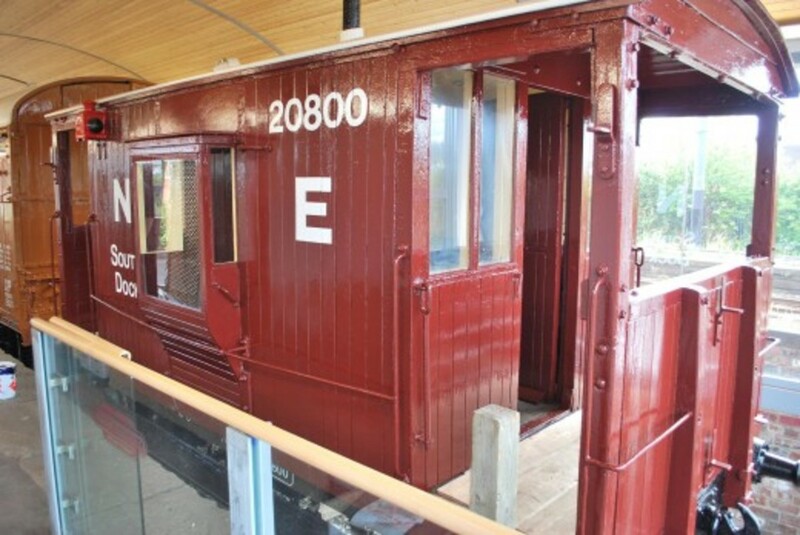 Imaginative use was made of some cattle wagons by the Western Region in tunnel maintenance. British Railways Wagons - Their Loads and Loading Vol 2, (including Departmental and non-Passenger Carrying Coaching Stock), Silver Link 2007, ISBN 978-1-85794-300-9 These gentlemen are experienced in freight traffic handling and management. 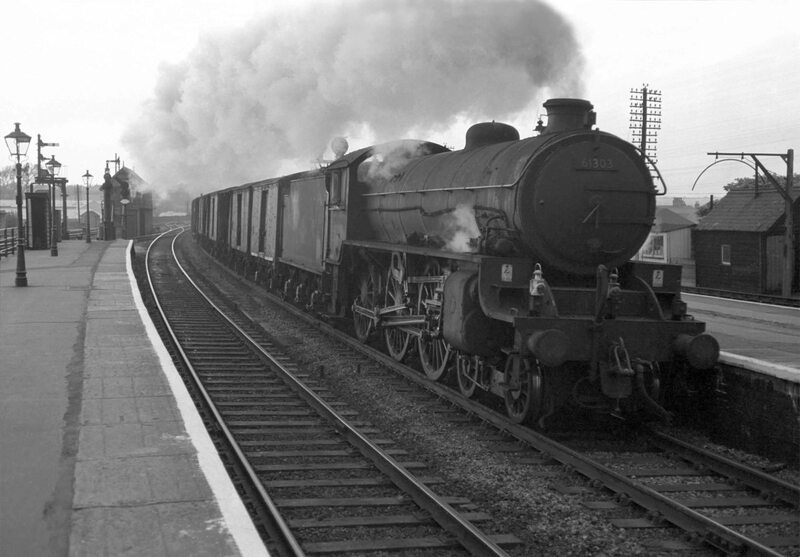 Brian has told of his forty years on the railways in 'Home and Distant' (another Silver Link book), whilst Bill was Chief Loads Inspector on the Eastern Region, BR. 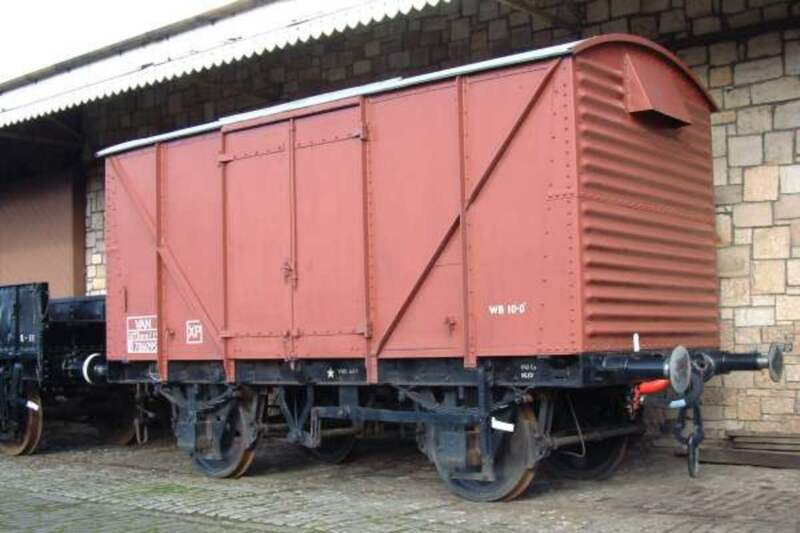 There are diagrams, drawings and b&w photographs showing the wagons in different categories, their loading and trouble-shooting (instances of badly-laden wagons and the possible outcome of oversight). Wagon types are covered in these editions that I will broach in a later piece. British Railways Wagons - The First Half Million by Don Rowland, publ Leopard (Random House UK Ltd) 1996 (first publ. David & Charles, 1985), ISBN 0 7529-0378-0: Another book written by an ex-railway employee, now writer. 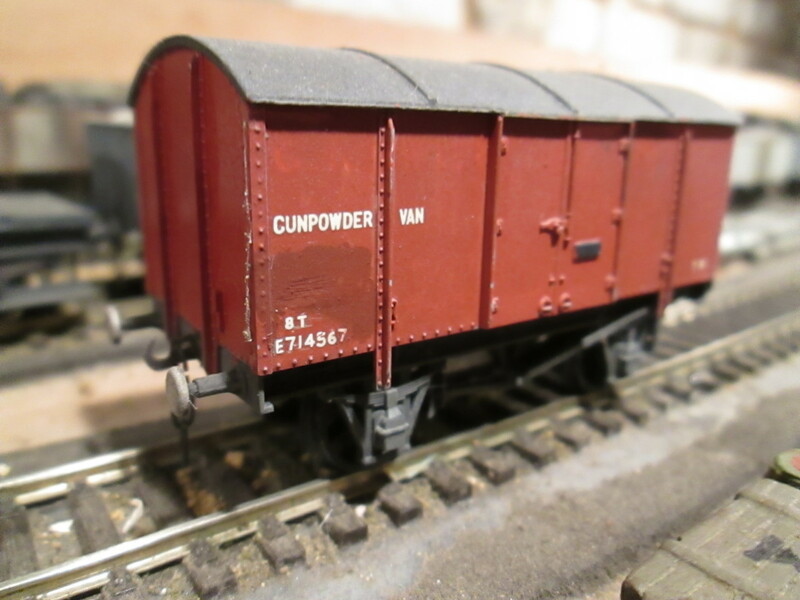 Copious black & white illustrations, Lot numbering and serial number listings by classification, original diagrams, appendices and diagram details covering open merchandise wagons, mineral wagons, mineral hoppers, covered vans etc. You can't go wrong with this book, and it covers rebuilds as well as variants. 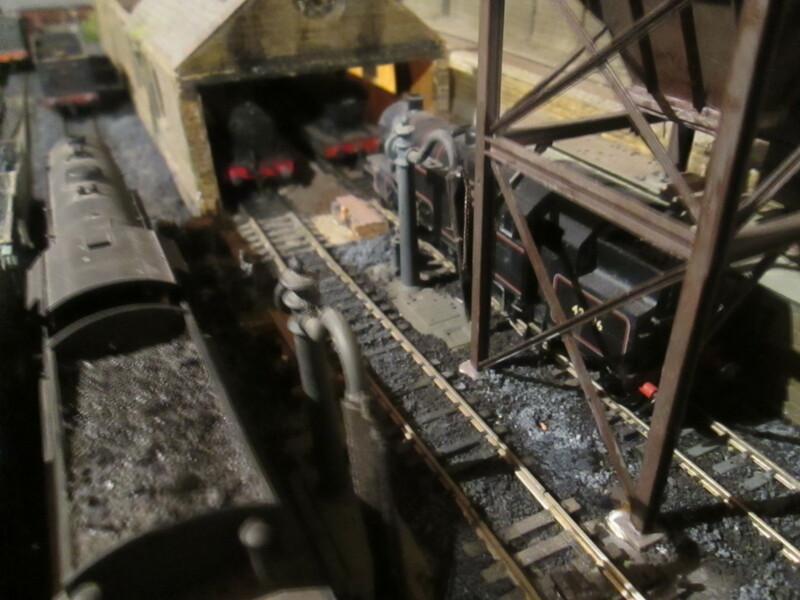 Above you can see a Parkside kit painted in British Railways unfitted grey livery. The couplings are Smiths' 3-link. 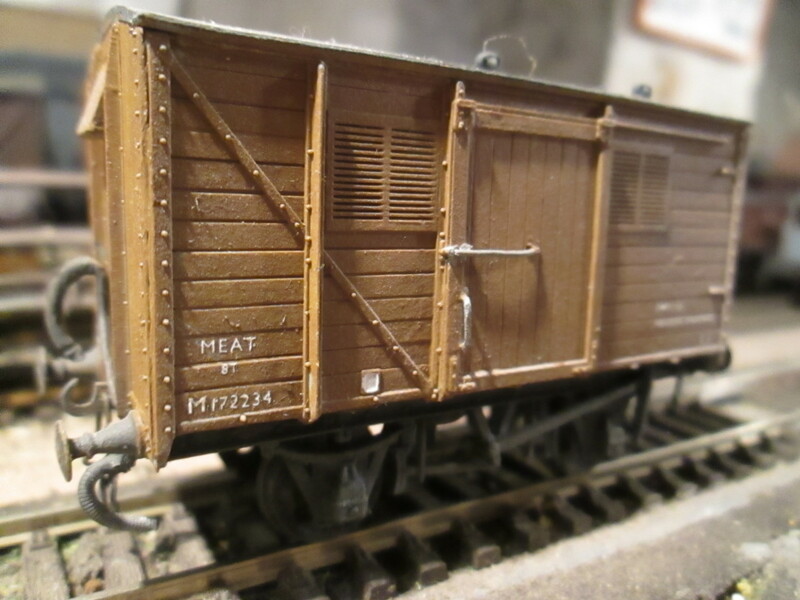 The kit was modified from a kit for the Toad 'E' brakevan by the application of a guard's ducket from an Airfix/Dapol kit, as well as 'V' strapping from Scale Link, lamps from Wizard Models, Barton-on-Humber attached to lamp irons obtained from Michael Clark's Masokits brakevan and locomotive detailing range. 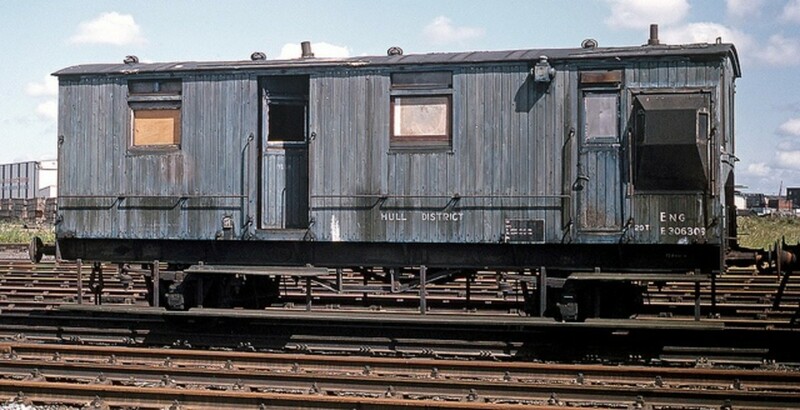 Lettering and numbering was applied from a Modelmaster sheet (British Railways unfitted Toad D colour photograph of Dringhouses Yard, York) in the 1960s. 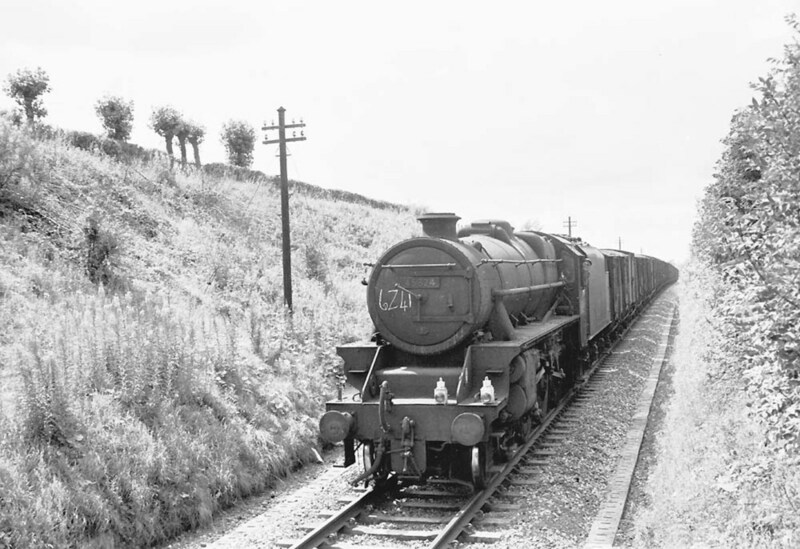 It's a Class V2 2-6-2 tender locomotive. The locomotive carries the lamp code for a through express freight, one at the smokebox door top lamp bracket, and one on the right of the buffer beam. Inside the signal cabin you see someone note down the time and train classification. 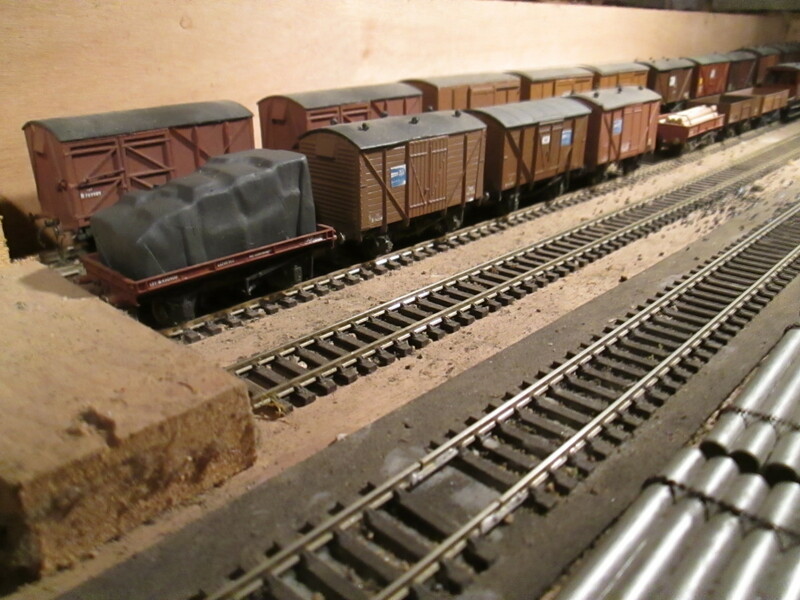 Then the locomotive thunders past with vans, laden container wagons, and a few tarpaulined general goods wagons. 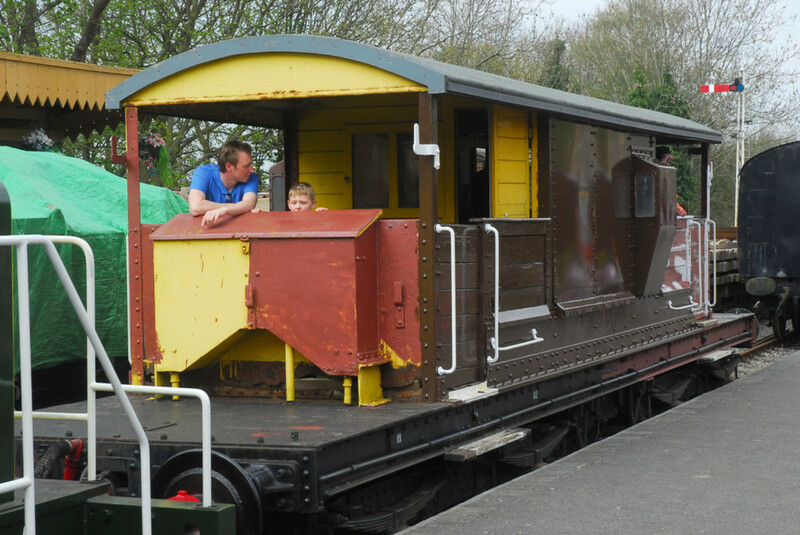 Then, before you know it, the brake van glides past with its oil-filled tail lamps aglow. A guard stands on the rear veranda, watching the scenery vanish into the distance. As the train gathers speed you see the guard open his door to disappear inside. And then all is gone. The crossing gates open for road traffic again and motors start up. Now think back. 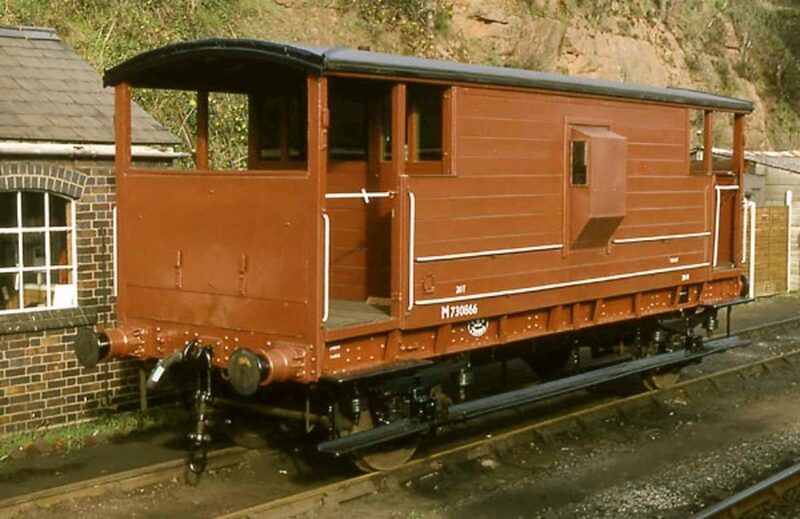 What do you remember of the train itself? 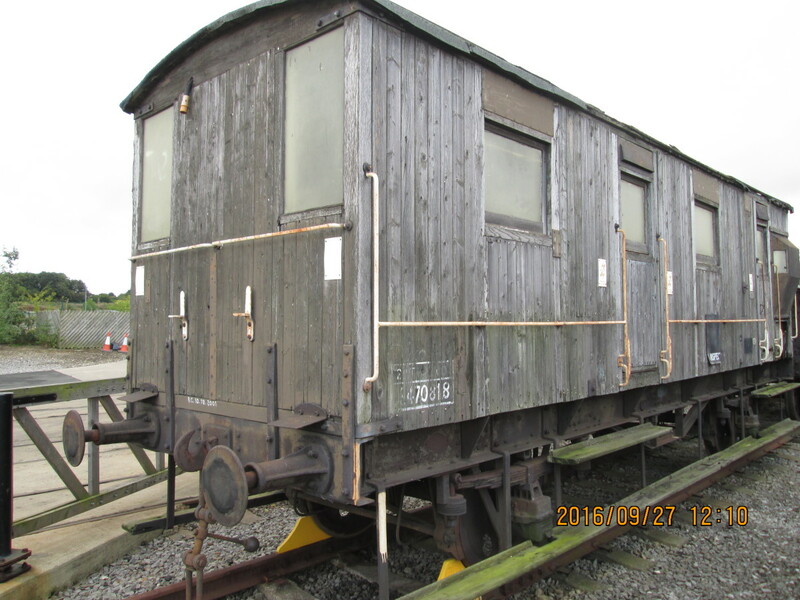 How old were the wagons? What type were they; general merchandise, meat, fruit, pallet vans? 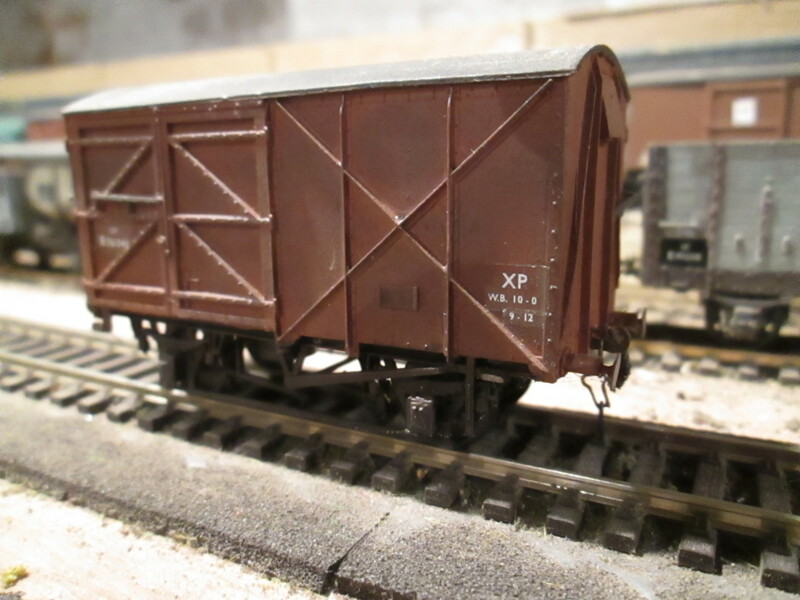 What about the container wagons? The containers themselves? 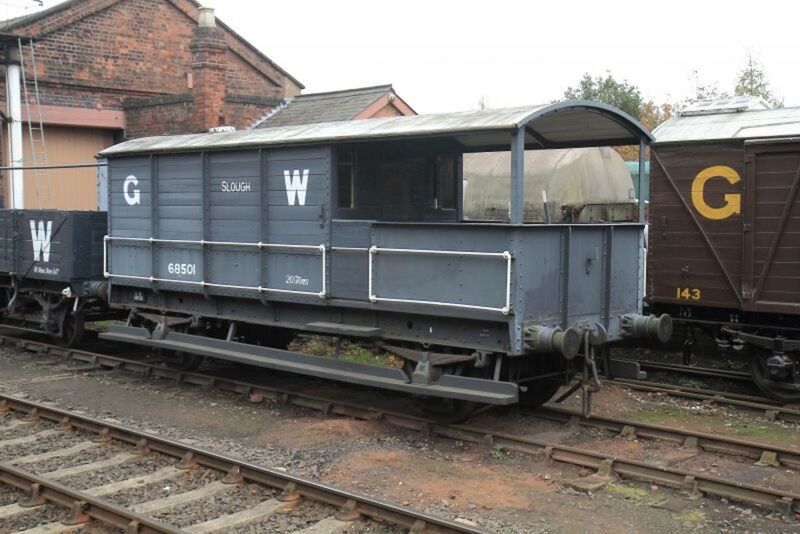 Did you see large labels attached to the chalkboards (top right) or were they written on in large letters for the shunters to read from ground or goods depot platform level? 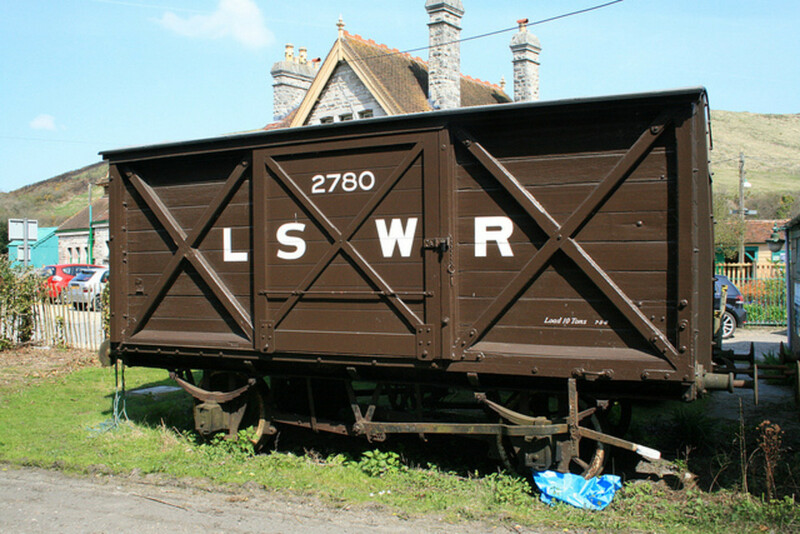 Were the tarpaulins on the wagons old, worn, new, freshly stencilled? 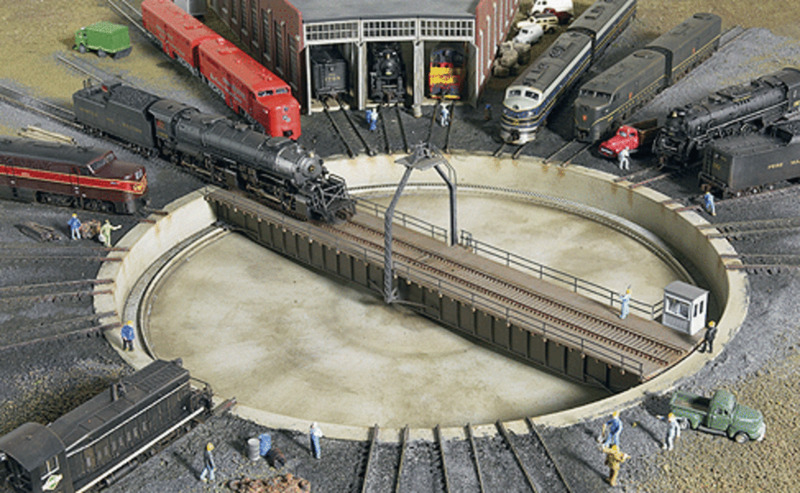 When you put your train together on your layout, imagine that you are at that level crossing near the front of the layout or near the end of the station platform. You see the train as that pedestrian would. You might want to know how trains were assembled at each stage on the way to their final destination. While memory is fallible, this guide and reading list should help you note, remember, and look up details you may have forgotten or missed in the romantic passing of the roaring train. You can then translate those details to a beautiful, intricate, and accurate model. Best of luck! 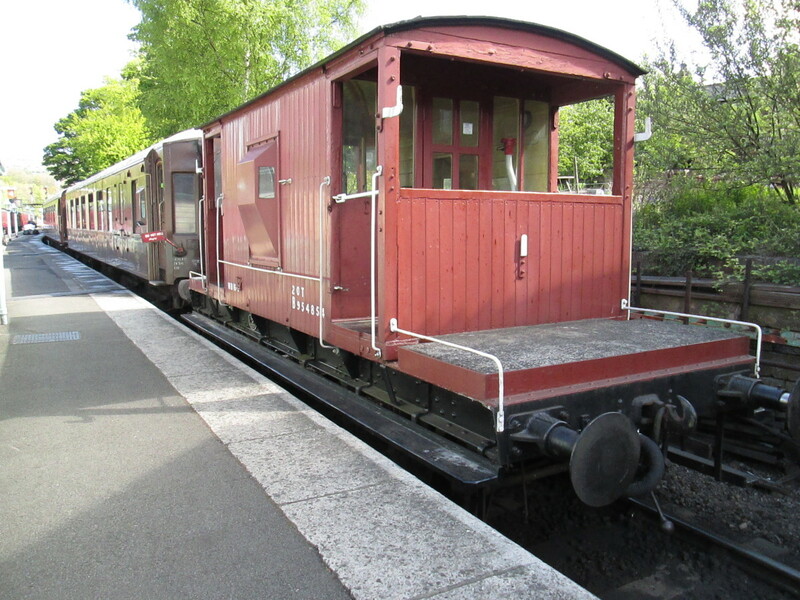 The picture of the ballast brake van is a LNER built example distinguished by the steel under frame and smaller grab handles below the main grab rails. NE versions have wooden under frames. Both examples could however be found with steel duckets. 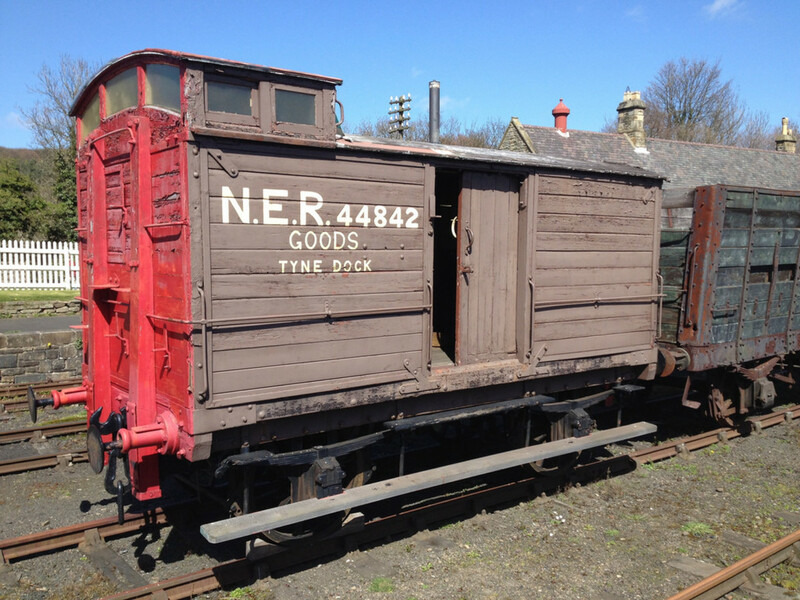 The LNER continued with the basic design an example of which can be found at Goathland.